Zagato is launching an exciting World Premiere on the occasion of the 2009 Geneva Motor Show: the Perana Z-One (Zee-One). The sports car Perana Z-One signals the first collaboration of the Milanese Coachbuilders with a South African Vehicle Manufacturer: Perana Performance Group. 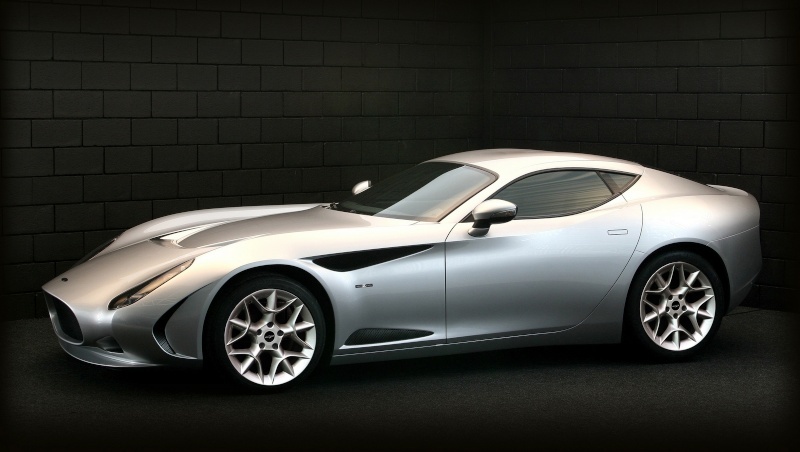 The Perana project is the result of Zagato’s 90 year-long expertise in constructing fully functional running concepts. Virtual reality development has been integrated from inception, effectively eliminating the need for the traditional styling model and enabling the prototype to be completed in less than 4 months by the South African team. As the latest descendant of the Zagato sports car family, Z-one is designed with full blooded Zagato form language. Reflecting this pure passion from this brand new sports car specialist, the proportion and volume of Z-one is even tighter than usual sports car styling, accentuated by couple of long and dynamic curves with keen edge which visually integrate some important design features like the air out-lets. Surfaces defined by those cutting edges are even more sculptured maintaining the modern Zagato line which we have been developing for a decade. – an irresistible and highly competitive offer. weight distribution allowing for exhilarating, balanced and predictable road manners. Fuel Delivery - Fuel Injection. Electronic, Sequential Port.